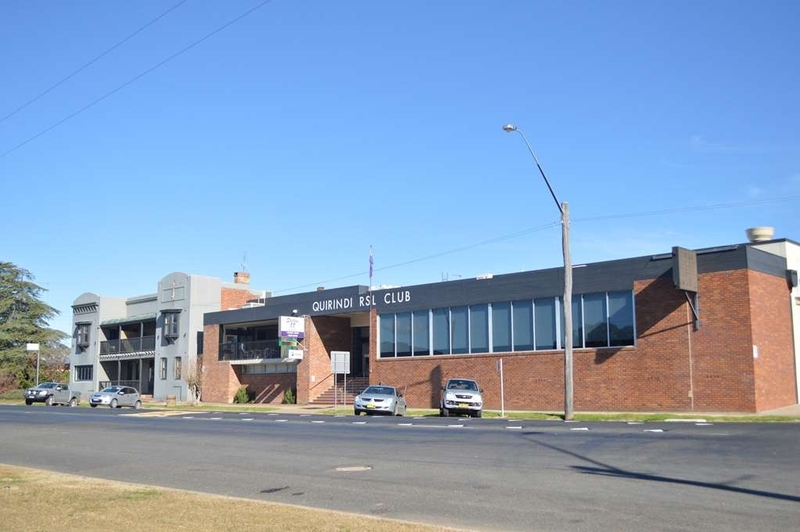 The Best Western Quirindi RSL Motel is ideally located in the center of Quirindi. Come and experience our hotel near the major tourist attractions. Best price guaranteed and exclusive deals. Had an extended stay here and would recommend if wanting somewhere quiet to stay in Quirindi. Close to main street, RSL and gym for the energetic ones. Rooms were spacious and clean and the staff aimed to please if you needed something. Rikki was especially helpful in my times of need. "Lovely room, a few basic extras would have been appreciated." Surprisingly large and modern room for a small town. Stayed one night in a room on the first floor. The room was large with nice furnishings, a quiet and efficient air-condition in 37 degree heat and a comfortable bed (so long as you avoided the centre join). The bathroom was very large with plenty of bench space, and a huge walk in shower. The motel, as you would guess by the name, is directly behind the RSL Club so it's a very short walk to the restaurant, and only about 500m to the centre of the main street, less than 1km to a good supermarket. The room could have used a few more fairly normal inclusions - there were the usual coffee making facilities but no plates or cutlery beyond teaspoons, no microwave, no toaster. The fridge, most unfortunately given the weather, had no freezer compartment so it was not possible to freeze water or cooler bricks for days when travelling away from convenient shops. The fridge contained an empty jug, and the directory indicated that water could be purchased (at quite a steep price). I thought an initial provision of drinking water would have been a nice gesture (one common elsewhere in the area) given that Quirindi's water isn't all that pleasant (I tried it, not great, and the mineral deposits in the kettle and on the taps was a fair indicator). 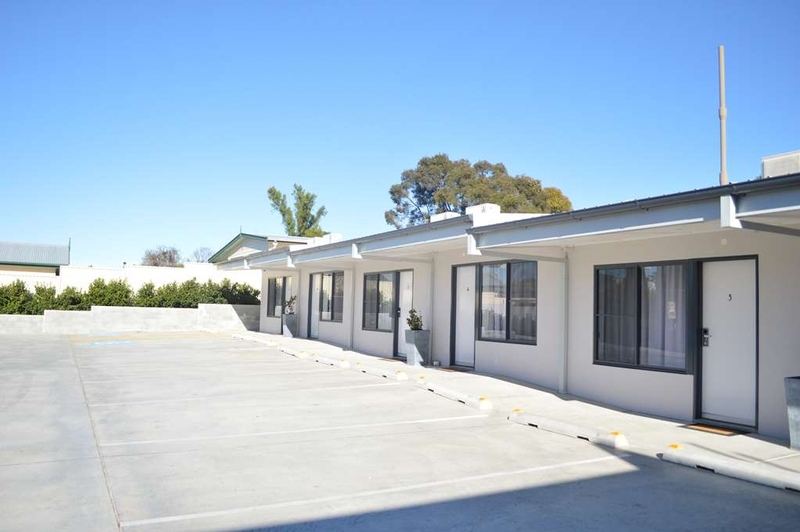 However the basic function of a motel, to provide a good night's sleep, was very well provided, the area was silent and the rooms well sound-proofed. Price was very fair for the quality of the room. 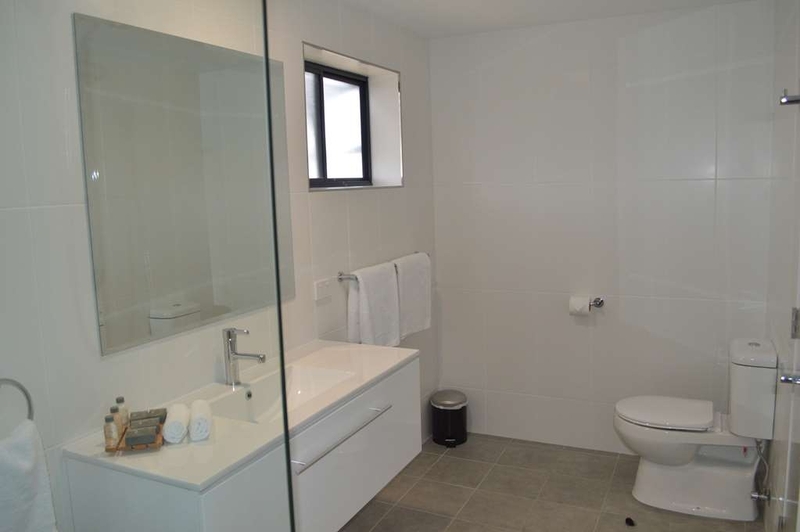 Very impressed with room, modern, large good size bathroom, comfortable bed, quiet position. Friendly book in. Short stroll into RSL for dinner (which was excellent). I would stop here any time I was going through Quirindi. Have been staying here for a couple of years now for the AG Quip Field Days and it's so much nicer. Worth the drive and your not paying through the nose like else where. Great customer service and very welcoming staff. This motel had been recommended by friends. However, I had not expected it would be so reasonably priced. 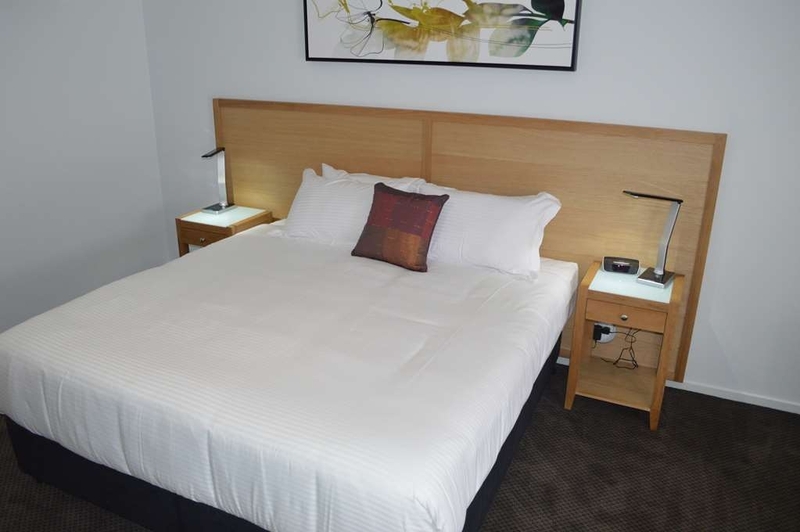 Lovely, good-sized room with very comfy beds plus big TV, good lighting and a great bathroom with wonderful shower! Travelling for a horse event we were grubby and exhausted yet the room was very quiet considering the motel was at 100% occupancy. All the staff we encountered were friendly and made us feel very welcome. Will happily stay here again, if we can get in. Once people learn about this gem, that may get difficult! "Staff went the extra mile"
Special occasion trip for us and friends the staff had gone the extra mile on request and made us a platter on arrival. We were made to feel very special. Room was clean and very impressed with breakfast menu. Close to RSL that had music and meals and Service station was also in walking distance all very easy to find. 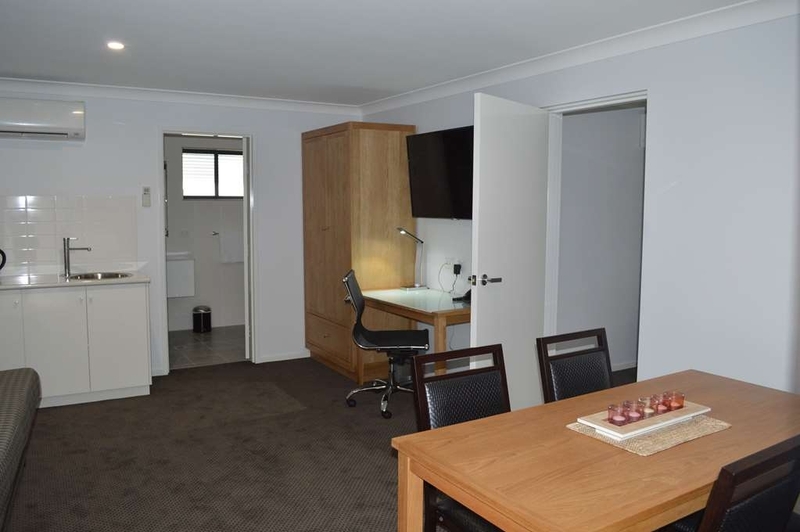 "Perfect, top quality motel in a country town"
This was a surprise. The motel is fairly new and so well appointed you would think you were in a big city. Spacious room, comfortable seating and work space, big bathroom with walk-in shower. The reception staff were friendly and helpful. There is plenty of parking space and the town centre is a short five minute walk. We would definitely stay here again. Arriving early evening in pouring rain we were pleasantly surprised and very happy with this hotel, it was modern, clean and has nice large rooms.Reception was helpful and friendly and with a ground floor room we had easy access and were able to back the car up to the door to unload. Shower is great with good pressure and an adjustable spray head and bathroom was well laid out and spacious. Comfortable large beds an a large screen TV made our stay even more wonderful. The local Pizza at Fonzies cafe were jus brilliant and very friendly staff too, worth the trip back for another Pizza. Although not the cheapest hotel in town we would recommend this hotel and definitely stay again as it is good value for money. 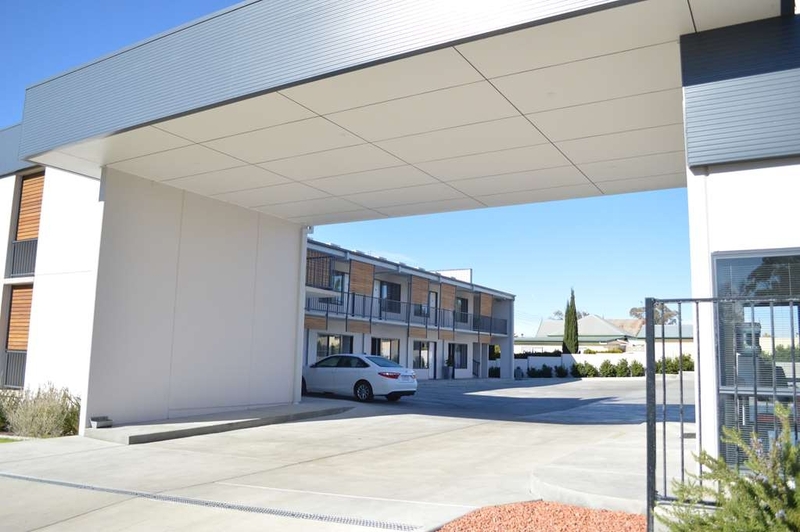 "Amazing Best Western at Quirindi"
This has got to be the best value motel in this part of the world! Reception was so friendly, genuine and helpful! The room was so clean, bright, new, fresh and spacious - all the things I love about an accommodation. It had a big and comfortable bed, 2 wardrobes, a kitchenette, table and chairs, a writing desk, sofa, glasses/mugs/tissues, plenty of coffee, tea and milk, clean carpet, soft pillows, 2 aircons - one in the bedroom and another in the lounge room, a large and clean bathroom and enough lights so you could see when reading. 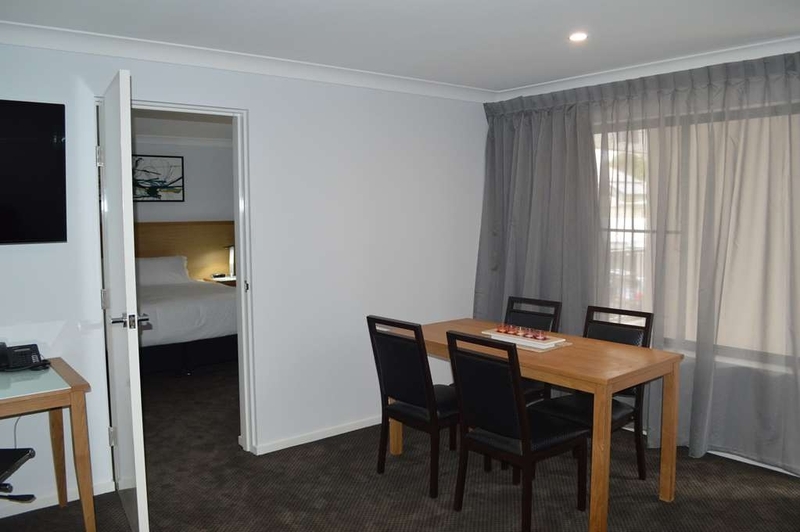 The location was handy and convenient since it is only a few metres from the RSL Club and town centre. A very few cons I noticed was the prickly water saving shower head, no soap holder and only one remote control for the 2 TVs and aircons but these are so minor they don't really matter. Love this motel and will be going back again and again. "Great place to stay only 18 months young"
Very large room. 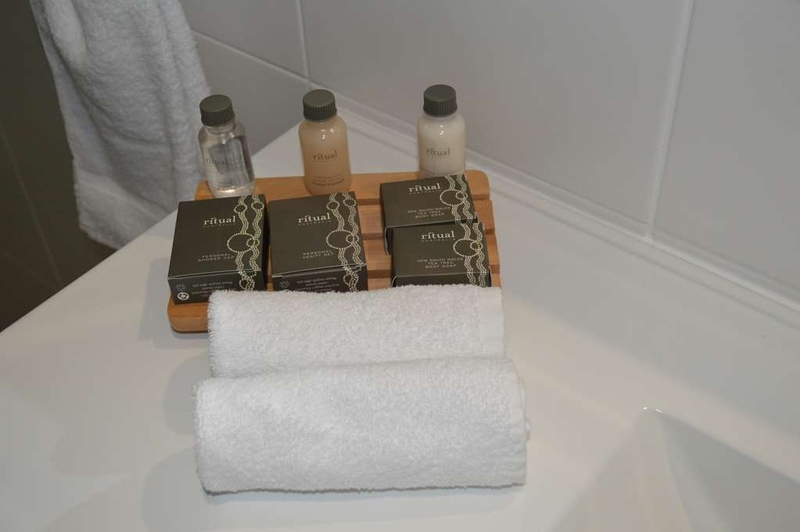 Great shower room very large.the bed was huge no problems at all with this motel owned by the R S L club nice A/C very nice staff only a short walk to the RSL club for a great meal nothing is a problem there so professional. "Nice motel, but plan for power outages." My son and I spent Friday and Saturday nights at the motel. Upon arrival we were greeted very nicely by the receptionist, we went into out room, no. 11. It is a very nice, modern room. Very comfortable beds, hot shower, and the room was clean. We had a day out and about on Saturday, had dinner at the club, and went walking in the dark around town. We had plans for my friend, to drive down from Tamworth to meet up with us in our motel room for a coffee at 8am. A group of motor bike rides stayed at the motel Saturday night, and they roared up their bikes at 6.10am, they left at 5 minute intervals, not a nice way to be woken up on a Sunday morning. Obviously, that's something management can't control, the inconsiderate vales of the bike riders. But, what management could and should have advised the guest of was the planned power outage on Sunday morning of the entire area, perhaps even planned for that, so that travellers could at least have had a cup of coffee before leaving for a full day of travelling. No contingency plan was in place to assist a group of befuddled guests. When a staff member did arrive at about 8.30 she advised that the closest place to get coffee was willow tree. To say we were not happy is an understatement. Until 6.10am Sunday morning, we did enjoy out stay at the motel. And, after my friend searched around town, unsuccessfully for coffee, she made enquiries with Donna from the rsl club, and Donna was kind enough to put the coffee on for us in their dinning room, which we were very grateful for. "Massive clean Room, bed and shower"
Was very happy with the accommodation. Room was spacious and clean and the bed was comfortable. Bathroom was well appointed if a bit cold. Staff were very helpful with help regarding the local area. Would stay here again. "Good value and nice rooms." Clean modern motel with very comfortable huge beds. The rooms are quite large, my room had 2 comfortable single sitting seats and a desk chair. A large flat screen TV and large bathroom with a shower (no bath). 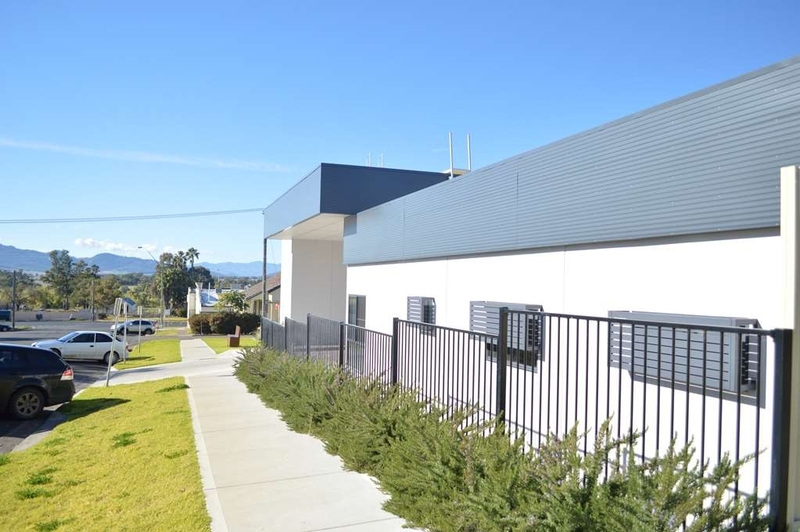 The location is very central and close to the centre of town ( 2 minute walk) and opposite the RSL club. All in all a very reasonable value motel with very comfortable rooms. The staff were friendly and helpful. "My visit to Quirindi in Febuary this year"
My friend and I went to the Werris Creek Rail Museum in February this year to drop off some items . We decided to stay in the area for a few days , looking for a place to stay we booked beforehand into the Best western Motel in Quirindi for two nights . Upon arrival we booked in and were greeted with the most happy person at the front desk. Nothing was a problem to her . We also told that we could access the RSL club next door. we were given temporary membership cards to use. Our room we could not fault , the motel is fairly new. We had a twin a nice big bath room and a dinning table for our breakfast. 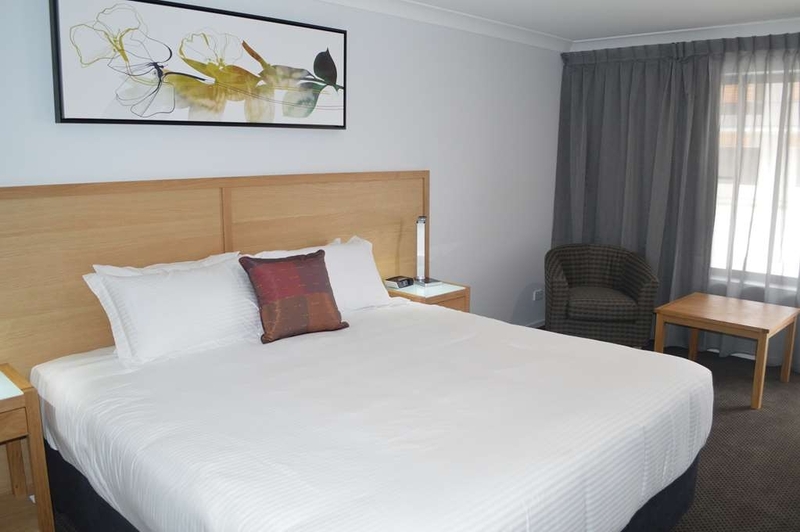 if looking for good nights sleep and a good meal at the RSL club do not pass it by. Stayed here three nights for work in a second floor unit. The motel is relatively new so everything has that new feeling. The bed is super comfy with a nice thick doona on it for those cold Quirindi winters mornings. 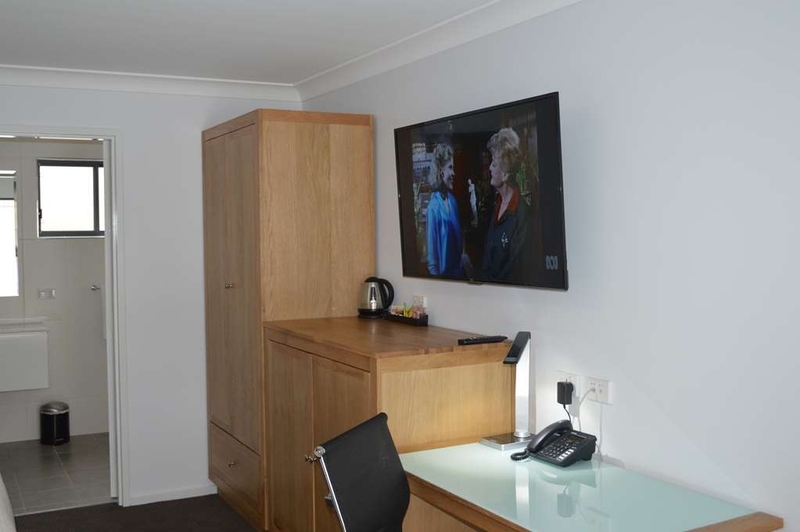 Really big TV on the wall is perfect and there is a nice lounge to sit on plus a desk to work at My only suggestions for improvement would be to put a heater in the bathroom as it's pretty cold in the morning! Also room 18 is missing the soap holder in the shower but only a minor inconvenience. Really enjoyed my stay and would highly recommend. 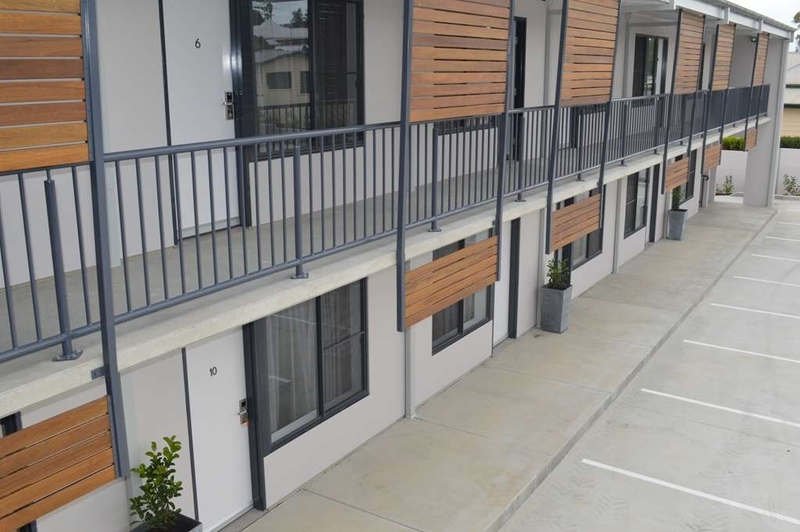 Fairly New Motel, Nice new modern fittings, 2 story, have disabled access rooms. 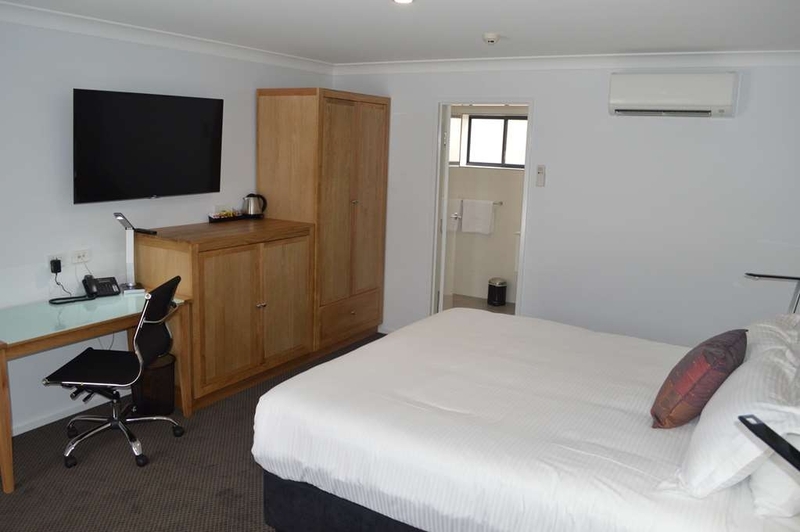 very large rooms and bathroom, well equipped .Comfortable bed Next to Quirindi RSL, so convenient for meals and entertainment. Friendly helpful staff. Had a bad flying ant plague the night I stayed and unfortunately the door seals were not adequate so a large number got into the rooms, I am sure they will address this 'tho. I do highly recommend this Motel. "Spacious, brand new room, pleasant stay"
It was more than I expected. Upgraded to deluxe family suite. 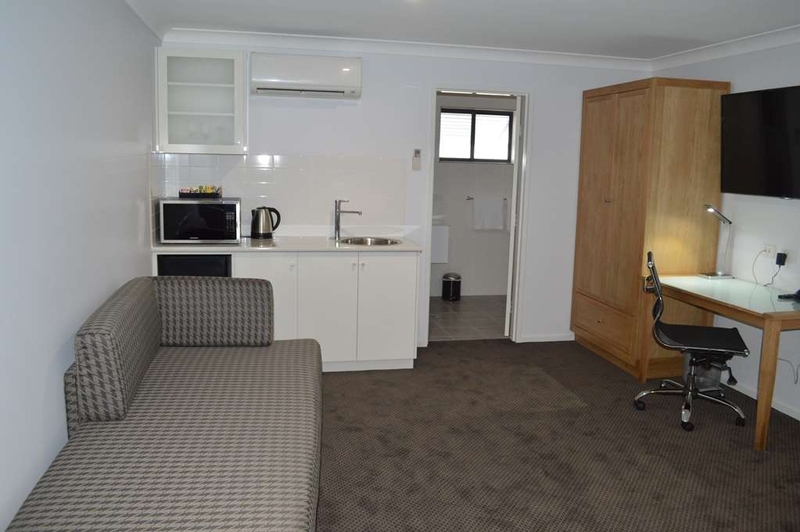 Room is huge for a family with large dinning table, well designed and foxtel also available. We really enjoyed our stay. Just one thing about water pressure in th shower if it can be fixed. 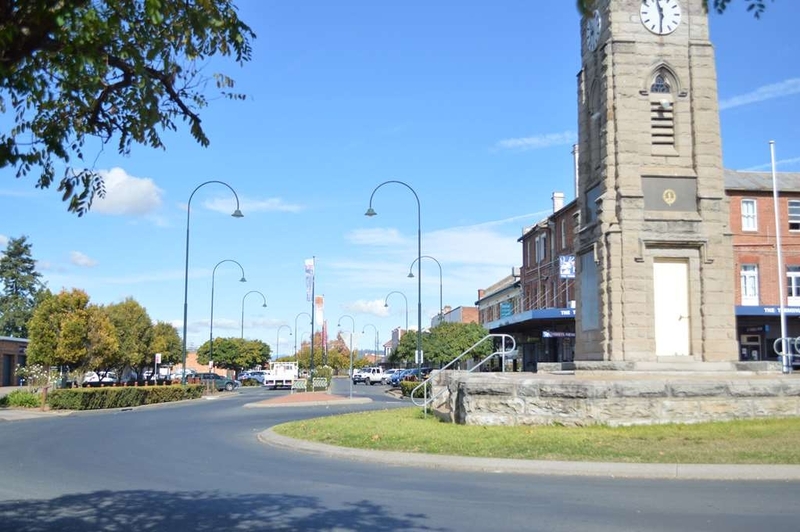 However, I would love to come back here in the next visit to Quirindi and recommend to everyone. We had the executive suite for 3 nights. It was really spacious and clean. The bathrooms are huge. The king bed was so comfy. The aircon worked brilliantly regardless of the extreme heat outside. The lounge wasn't the comfiest I've sat on, but it did the job. Service was friendly and helpful. The rooms are brilliant. Very modern and comfortable and free wifi. Bathroom / shower very modern. Definitely would return. Avoid the associated RSL Bistro on Friday night if it is smorgasbord night. Arrived after a 5 hour drive from Sydney. It was very very clean and comfortable. They had free washers & dryers, which was a nice surprise. The staff were very nice and helpful with directions. Wifii was very good & they had the basic amenities. Overall, it was a great stay with comfortable beds & quiet location. I would recommend this place to anyone passing through. Fantastic Service and amenities. Lovely staff, clean room, excellent air conditioning, hairdryer included, great wardrobe, really good fridge, the Television was huge. Great Location, right behind the RSL Club so we could walk there for meals and drinks and not have to worry about driving. We ordered Pizza one night from the Local Pizza Shop which was great but the only problem was that they said they Delivered but did not so I had to pay for a Taxi. A very new motel located behind the RSL The motel was recommended by friends for us to stay at and it did not disappoint as a short get away . The room was very stylish, comfortable big and clean. The bathroom was huge. "Its depends on what you hope for"
It depends on what you hope for. If, as you arrive in this pleasant smaller country town you are expecting a motel with all the charm of such country motels across the country, you will be bitterly disappointed However, if you want a snazzy, very modern motel with all the mod cons of a city hotel you've got it : one and two story units all facing into a concrete carpark ( no views of the beautiful rolling hills surrounding the town ) , large rooms with huge bathroom ( 7m by 3m ), a massive bed, a mini bar, key card, complimentary pen and note pad etc etc Obviously designed by city architects. It was not what I would call an enjoyable, delightful experience but efficient none the less The receptionist was, in line with the motel, most efficient. She changed my room on my request with no fuss. I was however, bemused that she patronisingly thought fit to explain the key card. I wondered whether she explained it to everyone, as for a motel in a smaller country motel, it is unusual or whether, as an older person she may have thought I had not seen one before ! So, it all depends what you are looking for. End of July was very cold in Quirindi. This hotel was a beacon of warmth and comfort. The rooms are so well designed and have everything you need. The staff were fantastic and so friendly and looked after us so well. Thank you Quirindi RSL Motel you made my sad trip ever so more comforting. Went to New England area for family reunion. Motel 40 km away from where we were going, but suited our purposes. Very clean, behind RSL club but no noise. Rooms tidy, pleasant staff, clean bathroom, free Internet. Would recommend. This hotel was very clean, comfortable and spacious. The staff were friendly and helpful. The bed was a king size and comfortable and the bathroom was a very good size. The RSL is next door so convenient for a meal and a drink. 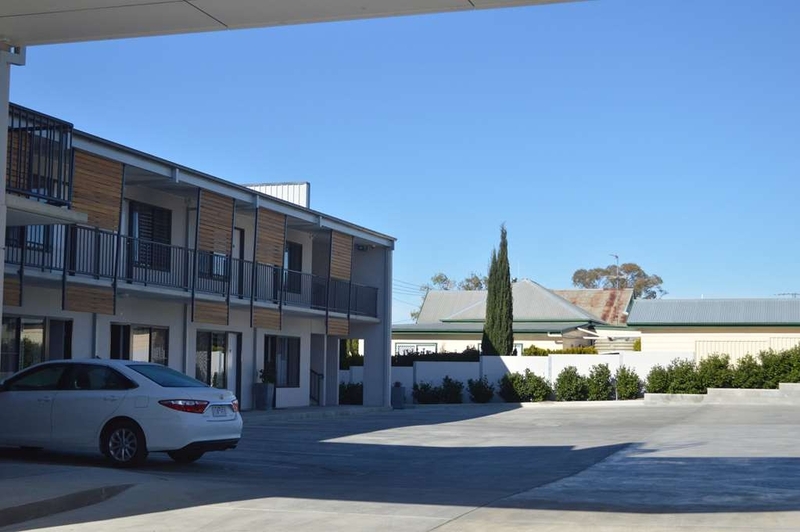 We did not expect to find this beautiful new motel when visiting family Quirindi. For a fraction of the price you would pay in the city, this motel offers spacious rooms, with modern facilities and the most divine beds. The rooms appeared to be well-insulated because we slept in till 8.30 not hearing the carpark full of work trucks leave much earlier. "Very friendly. Everything you could expect in a motel." 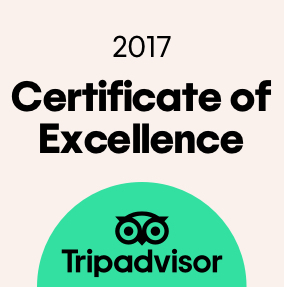 Just the one night stay but we were impressed by the staff's help and friendliness. Rooms were spacious and very clean. We could not ask for more in a motel room. Definitely worth the diversion to stay here on our return from Brisbane. We'll stop over here again for sure. Thank you for your review. I am glad you enjoyed your stay with us. 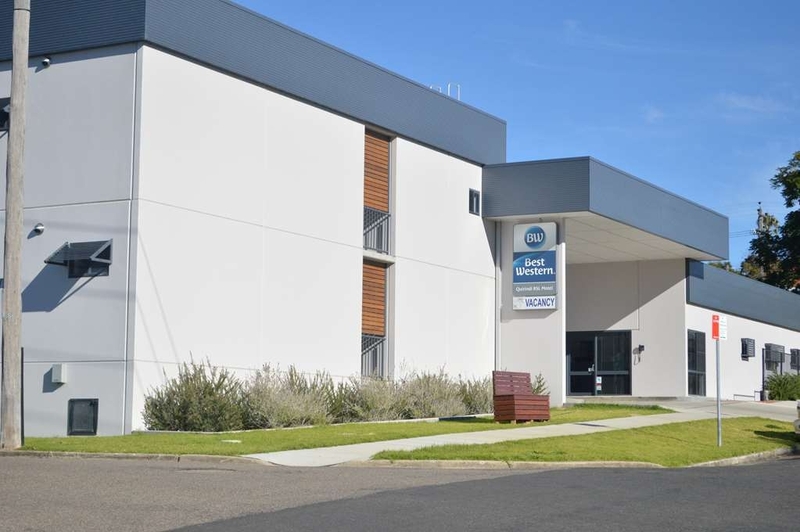 My friend and I had the pleasure of staying at the newly opened RSL accommodation for one night, the room was lovely, clean, comfortable and quiet, teamed with the amazing friendly service I couldn't recommend them more highly. Will defiantly being using this accommodation again. "Great brand new hotel "
Only opened a month. The Best Western is a well needed new addition. With a family of 4 we had a one bedroom suite. The king bed was very comfortable. The sofa in the lounge room converted to a double bed. Small kitchenette with microwave, jug and toaster and good sized table. Large bathroom. Recommend if you need to stay in quirindi. "Friendly, clean. Above & beyond service"
After being on the road with 2 babies for 8 hours it was so nice to see a friendly face that was so accomodating. Emma made up a room especially for me when she realised it would be difficult for me to have an upstairs room with two young ones. She couldn't do enough for us to make sure we were happy & comfortable. Shower was great with lots of room for all of us! Lol Bed & pillows so comfy. Happy for my 10month old to commando crawl around the room, so clean. Will definitely be staying here again. The room was large with good lighting, great bed with good pillows which was lovely to fall into. Bathroom was large with a sensational shower head that gave a welcome pick up after a long drive. It was great to be able to then walk through the laneway to the RSL where we were able to have a pleasant meal and watch football and the walk back and fall into a most comfortable bed. We will be back! Only opened on the 31st March. Everything very new & clean. Only negative is that a family room is a king bed and a sofa bed, so if you are a family of 5 like we are we took two rooms. Not great for everyone. A trundle would have got us out of a tight spot but that was not available. Very nice. Would stay again! We were lucky enough to pick up the last room on a Sunday night at the brand spanking new Best Western motel. The rooms were very nicely appointed with a king size bed and a big bathroom and big Tv. There is off street parking so your car is in front of your door. It is in a great location next to the RSL so it was easy to walk down for dinner. The receptionist was friendly and helpful and it was an easy check in process. For a brand new motel I think it was rather good value at $130. After a long drive from QLD we got the last room,the staff went out of their way to have it cleaned and ready for our arrival in 20 minutes,brand new unit complex,most comfortable king size bed & pillows,huge Flat screen TVs, large bathroom with best shower head I've had in a motel room ever!! Added bonus RSL Club next door for a great meal. When I stayed the motel had only been open for a few days. I was impressed by the electronic key system and the layout of my room. 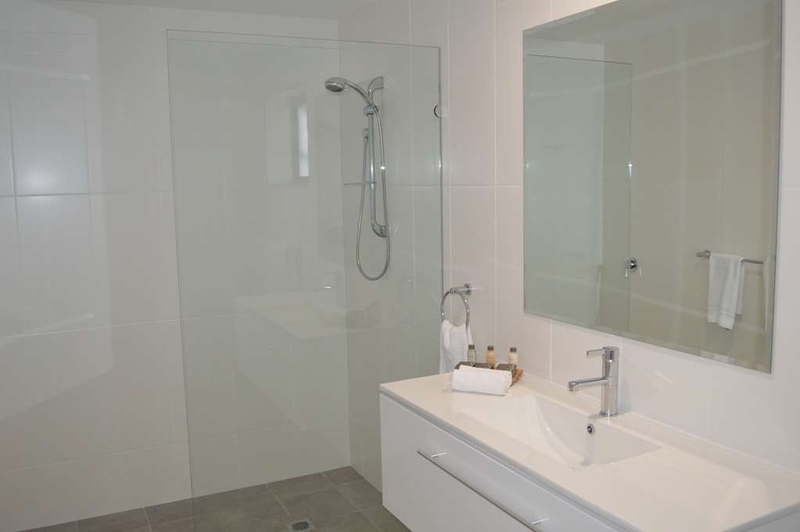 The bathroom in particular was very well laid out and the shower was a delight to use. It was little things like the location of the taps and towel rails that made using these amenities such a joy. The king size bed was very comfy. 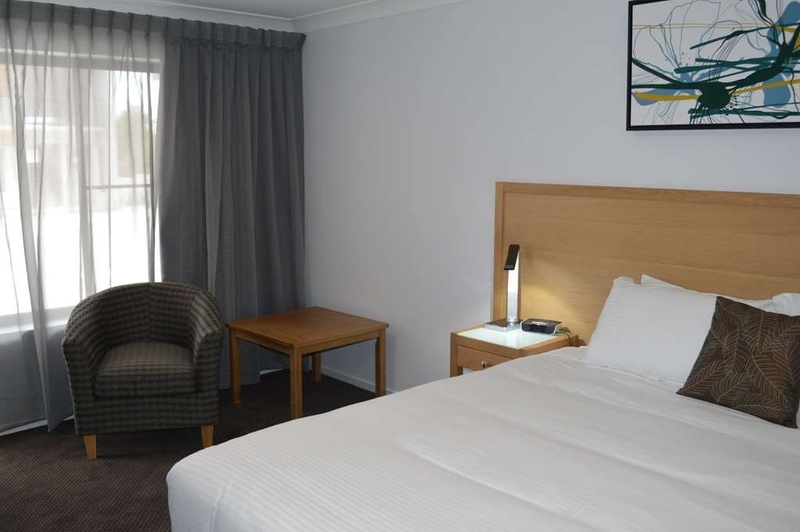 "Brand new Motel part of RSL Club at Quirindi NSW." Wow never been to a brand new motel and it is gorgeous and staff are wonderfully helpful Room is just perfect Beds are comfortable and a dream to sleep in Bathroom are huge and everything one needs is there. Lovely glass desk for me to use my laptop with free Wifi Chair was a bit worrying but staff were made aware and were really interested in my view of why it was. Would highly recommend going there. RSL is part of complex so a short walk into club. Nice meal Attentive staff and a Trivia game was enjoyable. Quirindi is such a pretty town and nice cafes and shops and lovely views Want to go back there again !! Very clean, the bed was very comfortable. Staff on reception very friendly and helpful.Recommended the R.S.L for a drink and a meal. The R.S.L is great, very friendly staff made to feel at home and the meals are great you dont go hungry. Good Afternoon Thank you for your feedback. We hope to see you again. "Very clean and quiet place"
Stayed here for 3 nights. Very comfy bed ,great size room and bathroom . Quiet location ,walking distance to RSL and amenities. Staff very helpful and friendly. Great place to stay, would stay here again . New and very clean! Motel is near the centre of town, right behind the RSL. Good bathroom facilities, and comfy bed. My husband was impressed with the fancy bedside lights. We could hear the people below (or next door) in the morning, when the town was quieter, but overall a great stay! "Regular visitor to the area"
Stayed just one night. Very new at time of stay. Professional and friendly staff. Room was spacious, bed was comfortable, modern furnishings, modern bathroom. Is in a quite location behind the RSL Club. I will certainly stay again. "Very comfortable Motel with friendly staff"
Stayed here for one night just after opening. We must have been the first to stay in the room as the TV hadn't yet been tuned in. Staff were very helpful and friendly, and the bed was very comfortable (As good as any 5 star Hotel I've stayed in!). Would highly recommend staying here if you're looking for quality accommodation in the Quirindi area.